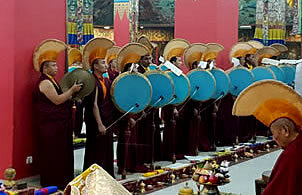 Performed annually, this drubchen marks the passing of Mindrolling’s great treasure master and founder, Terdag Lingpa. Story, photos, video. 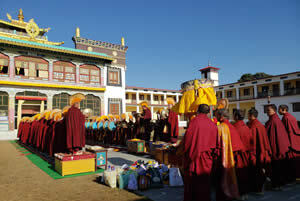 Monks of Mindrolling Monastery perform year-end traditional ritual to dispel obstacles for the coming year. Photos and videos. 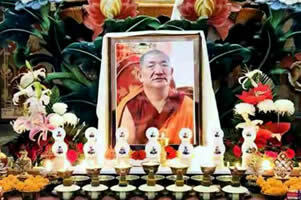 Prayers are offered at the passing away of the 7th Head of the Nyingma Lineage.